Like all folkloric stories, the making of Something’s Changing has a certain degree of serendipity. 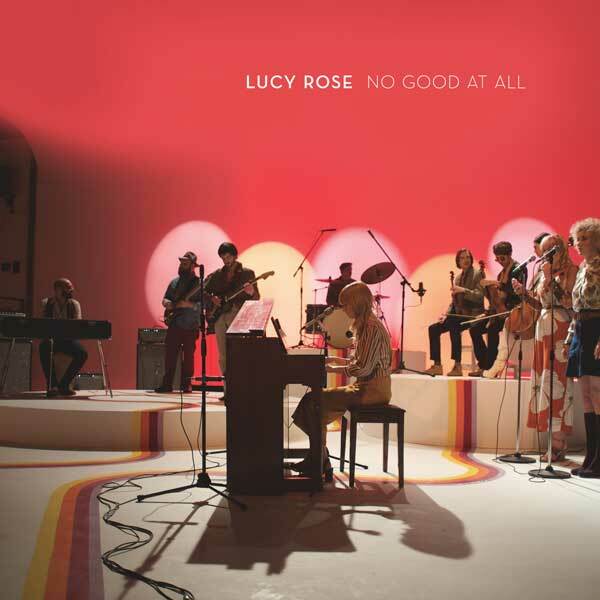 Following the European tour commitments of Lucy’s top 10 second album Work It Out, and the ensuring break from the road, she noticed a steady stream of tweets reaching her from Latin America, and the unlikely statistic that her music’s most listened to city on Spotify was Mexico City. It gave birth to the seed of an idea that became a real labour of love over the next six months. Lucy offered her fans in Latin America a deal: “If you book me a gig, I’ll come and stay”. It was a ‘loco demente’ plan but the outcome was far more fruitful and inspiring than could have been imagined. For two months Lucy, her guitar, and her backpack toured Ecuador, Peru, Chile, Argentina, Paraguay, Uruguay, Brazil and Mexico, playing free shows, staying with fans and “falling back in love with making music”. The documentary of her experience there, fans blocking the street outside a gig above a launderette, trying to sleep on endless inter-city bus rides, living with families in out of the way towns and overwhelmed by the kindness and faith in music of those she met, is deeply moving. She took a camera with her and filmed as much of the trip as she could remember to. DIY Mag : Lucy Rose Unveils "End Up Here"